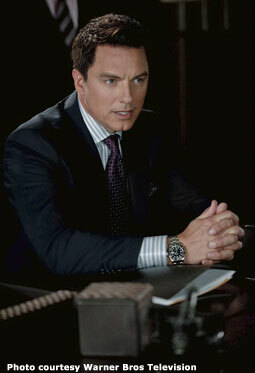 John was thrilled to be cast as the mysterious "Well-Dressed Man" in The CW's series, Arrow. 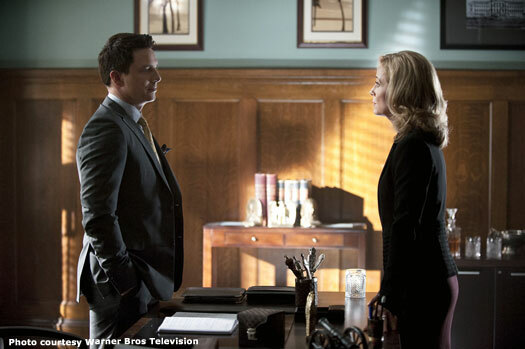 The character was eventually revealed to be Malcolm Merlyn, father of Oliver Queen's best friend, Tommy Merlyn. Malcolm is an acquaintance of the Queen family and first appeared in the fifth episode of the first season, titled "Damaged". Malcolm plays a pivotal role in the first three seasons' unfolding storyline of treachery and subterfuge in Starling City. The character was promoted to series regular from Season 3, and will remain a regular in the upcoming fourth season, so we can expect to see a lot more of Mr Merlyn! "Whenever I see dailies with him, literally the word that always comes to my mind is 'magnetic.' He is incredibly magnetic. Not having seen him in Torchwood, I am like 'This guy is unbelievable!' I had come to his performance on my own terms. He lights up the screen, and he really energizes the actors that he has scenes with." Arrow is based on the DC Comics' series, Green Arrow, featuring billionaire Oliver Queen (played by Stephen Amell). Queen has been missing on a remote island for several years - an experience which has changed him in ways that gradually become clear during the series. John's character, Malcolm Merlyn, appeared in the second season of the time-travel spin-off of Arrow, Legends of Tomorrow. He returned to the Arrowverse in December 2018 for the epic Flash/Arrow/Supergirl crossover, Elseworlds, but not as the Dark Archer of previous episodes! John and his sister and co-author, Carole E Barrowman, launched a digital comic in January 2016, Arrow: The Dark Archer. Published by DC Comics, the storyline explores the history of John's Arrow character, Malcolm Merlyn. The comic is available from the DC Comics App, readdcentertainment.com, iBooks, comixology.com, Google Play, Kindle Store, Nook Store, and iVerse ComicsPlus. A print version will be released later.